The Jay Jays brand is synonymous for fast fashion at easy on the pocket prices. 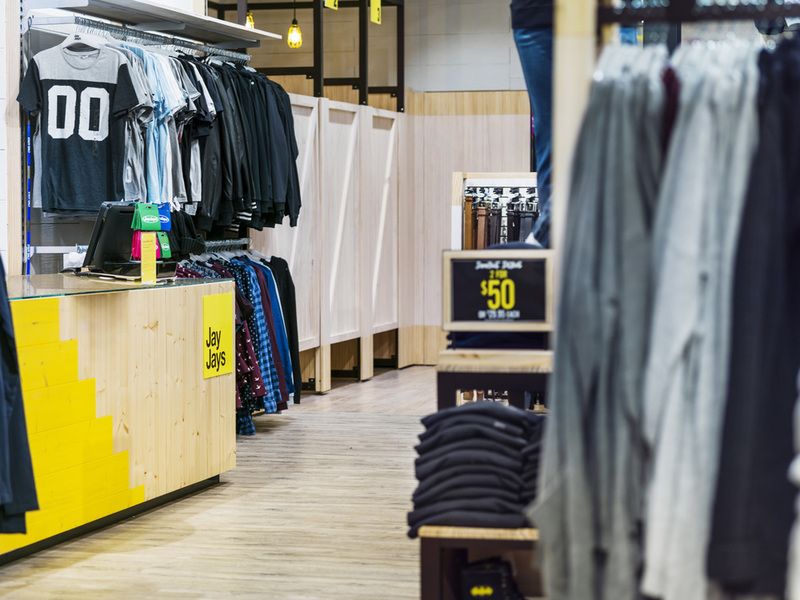 We were involved with re-positioning the brand and launching a new store concept in the brand's heartland, Fountaingate shopping centre, where it's target market of teenage guys and girls trawl for street wear, surf styles, casual basics and accessories. We integrated the new look logo and brand colour to the shopfront and through out the store, providing a fresh approach. The concept for this volume retailer hinges around a warehouse look and feel, but it needed to be more relevant and edgy. The aim was to strip back to the base building and use raw materials, pine, mesh and preformed concrete to create the desired interior. The objective was for the store to maintain an ordered display for it's large number of product categories and skus, while staying fresh and fun! 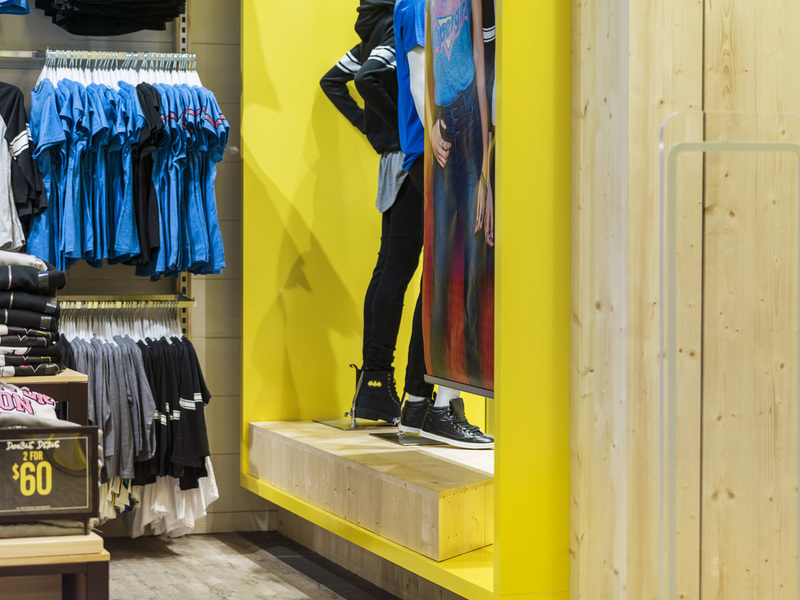 We achieved this through implementing various product zones throughout the store, as well as using wall display systems, racking and custom mid floor units for layering and merchandising. 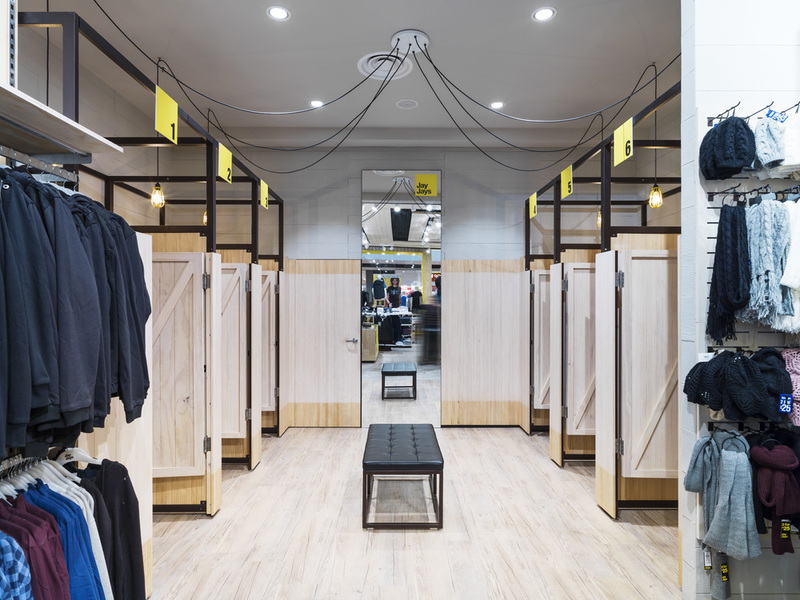 The change room zone was a huge success and a hit with customers loving the fresh open area, numbered cubicles, industrial light fittings and barn doors. They are also encouraged to take selfies and share on social media.